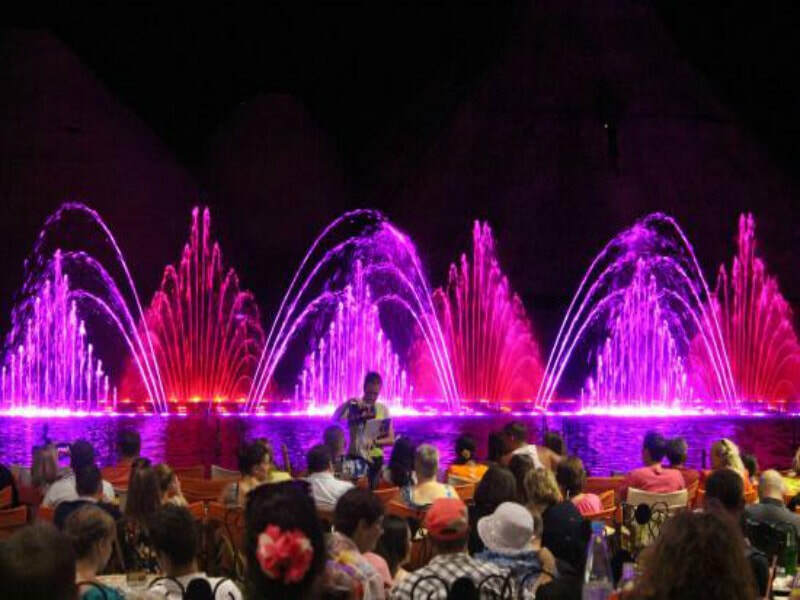 The dazzling Magic Waters Show is set in the heart of Protaras and is a spectacular evenings entertainment. 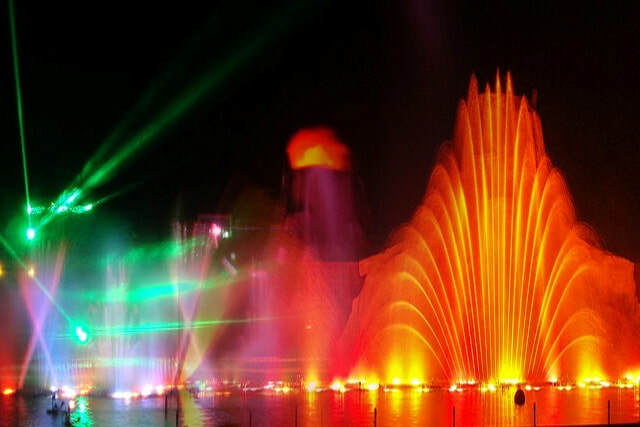 Featuring lights, jets of water, lasers and state of the art technology this hour long show will delight all ages. 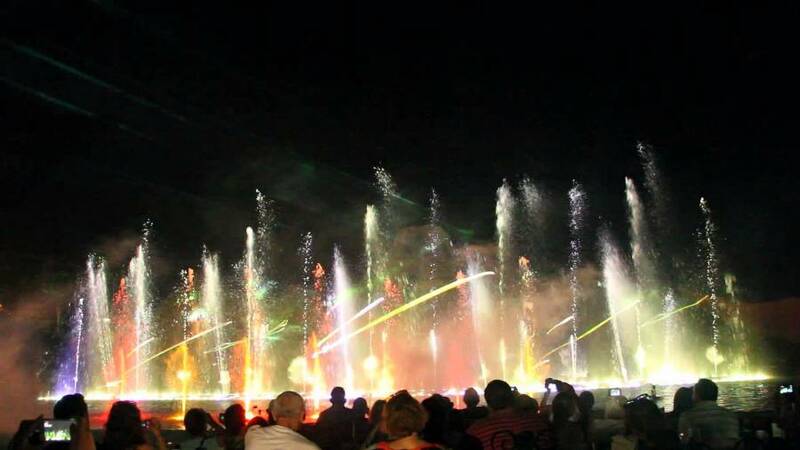 Smoke machines and fire canos add to the drama, before a theatrical finale which sees a man-made volcano erupt, complete with flowing lava. 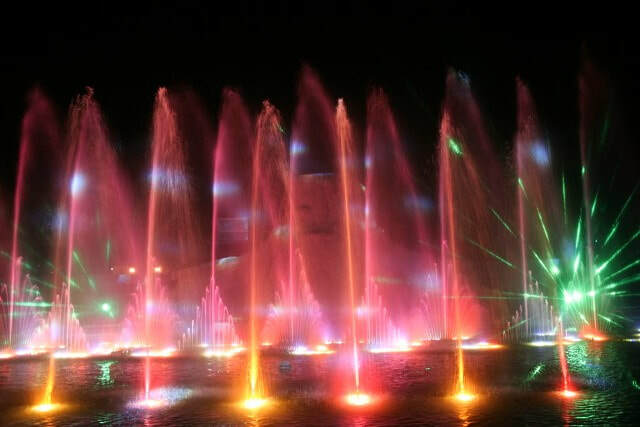 A soundtrack of classical and popular music accompanies the water and bright lights. Tickets are available as show only or with the option of including dinner. 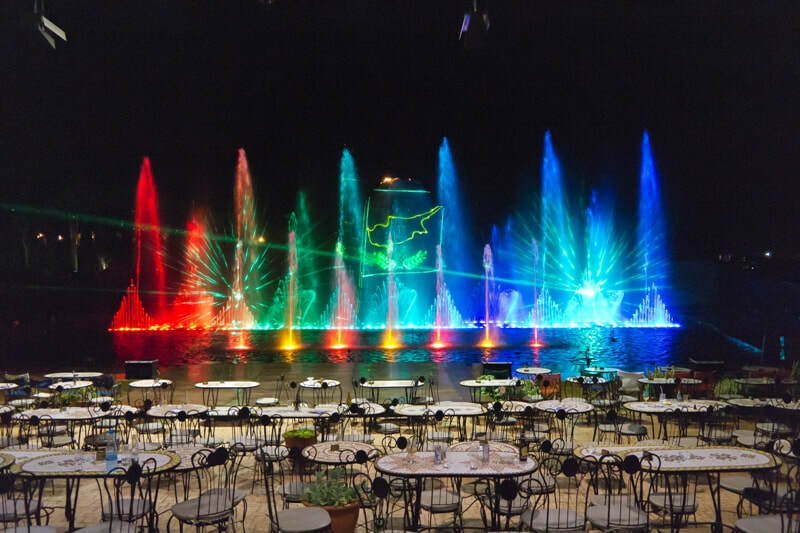 The dinner option includes a mouthwatering all you can eat international style buffet which you can enjoy in the comfort of your seat before the show begins. Departs: Daily from May to October. Ticket holders must be at the venue by 8pm at the latest. The buffet opens at 7.30pm and lights go off at 9pm for the show to begin. Prices: With dinner - €38 Adults & €25 Kids, Without dinner - €23 Adults & €15 kids. Childrens Prices: Ages 13 and over pay adult price, ages 2-12 pay child price, ages 1 and under go free. Transport is not included from Ayia Napa.